The very wonderful Katie from Fashions Maven gave me this really sweet award, I am so excited thank you Katie! If you have never gone to her blog you so have to, she is an absolute delight and such a dedicated blogger- she puts me to shame. 1. Post this award (and the icon) on your blog. 2. List 3 things/people that inspire you. My friends, for going off and discovering the world, for trying new things, for working really hard and making such successes of themselves and for letting me be there for the journey. 3. 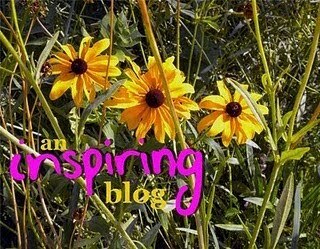 Award 5 (or more) other blogs that you believe are an inspiration for others. 4. Let these bloggers know they won this award. Thanks again Katie, you are too sweet. Sorry for being so quiet. HP had her op on Wednesday and I was a ball of nerves and emotion to be honest. there wasn't even time for a top tip. But everything went really well and the surgeons were happy, now I just want to see her. Only a couple more days until I can! You're so welcome, good to hear from you :) So glad the surgery went well - keep us updated on how shes doing!